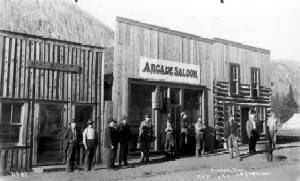 Don't know exactly why, but I have a fascination for old west saloons. Okay, maybe I do know, but that's between me and the bartender. Just sayin'. My attraction to old saloons may also come from the fact that they seem to be the watering hole or social institution in movies and TV shows. if there was some excitement to be had, you can bet your lucky spurs it could be found in the town saloon. 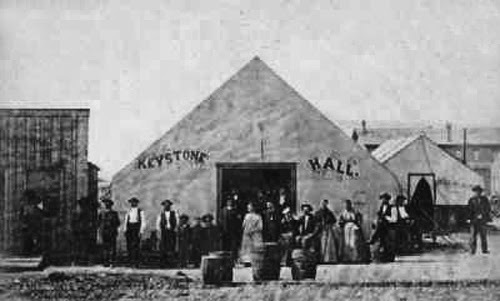 The first establishment to be called a saloon was Brown's Hole near the borders of Wyoming, Colorado and Utah and catered to the trappers in the fur trading days. But soon the west was littered with saloons. Most were hastily thrown together affairs like tents or lean-tos. As towns prospered, saloons became more like the traditional places we've become accustomed to today. The whiskey served on those early years was mighty wicked stuff--made from raw alcohol, burnt sugar and a bit of chewing tobacco. (Yum) The clientele referred to this nasty brew by names such as Tangle Foot, Forty Rod, Tarantula Juice, Red Eye, or Coffin Varnish. Also popular was "Cactus Wine" made from Tequila and peyote tea. Hmm, isn't peyote that weed used to get into some "visions"? Muleskinner was another popular drink made with whiskey and blackberry liquor. Now this one doesn't sound too bad to me. But mostly, patrons of saloons drank straight whiskey like bourbon or rye. There was no such thing as cold beer. I can't imagine enjoying a tall glass of warm beer after riding a horse in the hot sun all day. 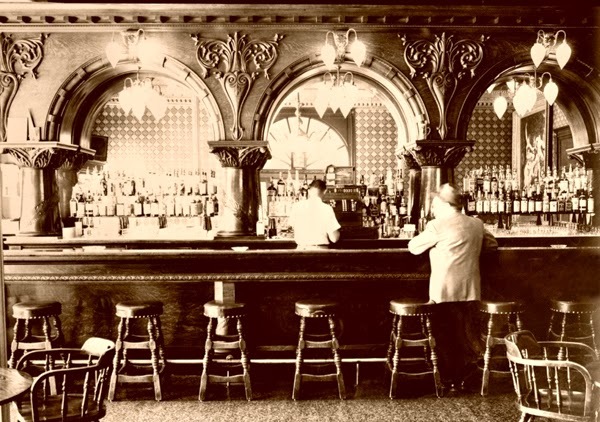 Saloons became entertainment centers over time, after a hard day of work or bank robbing a man could have a drink or several while he enjoyed a game of poker, Faro, 3-card-Monte or dice games. 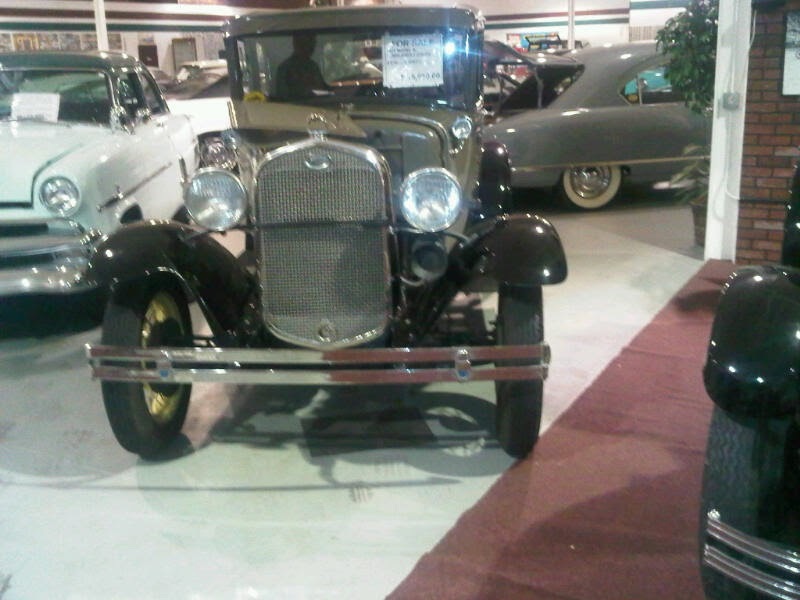 Customers came from all walks of life, from miners to outlaws. But soldiers were not welcome. Western men had no respect for men who "policed the west"--nor did they welcome Civil War deserters. Women were also not welcome unless they were saloon girls. 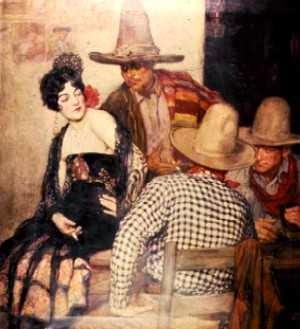 Among these rough westerners there were codes of conduct to be maintained if a man wanted to get along well with others: only first names were used, no questions asked about anyone's past, and curiosity about anyone's personal business was considered rude. It was considered neighborly to buy the man standing beside you a drink or a man who confessed to being broke, but not a man who ordered a drink first, and then said he couldn't pay. Saloon girls and dance hall girls were not prostitutes, although I always thought they were. These women were refugees from farms, widows without an income, and needy women down on their luck. Most of them earned $10 a week and commission on drinks--most of which were watered down. Men who mistreated saloon girls were doomed to become social outcasts. 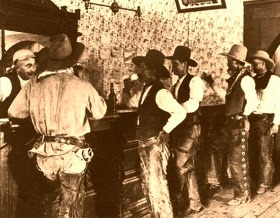 Naturally, some saloons became famous for gunfights. Some of the more famous deaths that occurred in saloons were Wild Bill Hickok who was killed by Jack McCall while playing poker in Deadwood, South Dakota. Bob Ford, the man who killed Jesse James, was shot down in his own saloon in Creede, Colorado. John Westley Hardin, sometimes referred to as the meanest man in the west, was shot from behind in a saloon in El Paso Texas. Some of the most famous saloon owners were Wild Bill Hickok, Wyatt Earp, Doc Holliday and Bat Masterson. 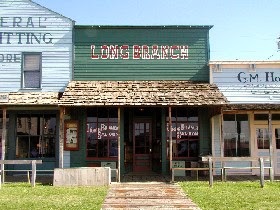 Some famous saloons, some which are now converted to museums, are The Arcade in Eldorado, Colorado, The Long Branch (Remember Kitty and Matt Dillon met there often in Gun Smoke) in Dodge City, Kansas, The Buckhorn Saloon in San Antonio, Texas, Desert John's Saloon in Deer Lodge, Montana, The Bird Cage Saloon in Tombstone, Arizona, and The New Atlas Saloon in Columbus, Montana. In my Wyoming Wildings stories I often mention The Iron slipper Hotel which was a saloon by the same name in the first book, Harmonica Joe's Reluctant bride. The name was changed from saloon to hotel after Banjo inherited it from a madam and partnered with Lola Wilding. They remodeled it and turned it into a classy hotel and restaurant, but kept the name Iron Slipper. It's the center of big parties and balls in following stories. Just a bit of personal history here: the house my parents rented before they bought the house where my sister and I were raised, was a log cabin made from a carriage house on an old plantation. My dad built a fence of oak limbs and made a wooden sign with a horse shoe on it and my dad wrote the name The Iron slipper. I thought that was a great name for a saloon and a nice way to remember my dad. Coming soon is the story about Juliet Wilding and Harry O'Connor in the summer anthology, LASSOING A BRIDE. Because I write western historical romances set in the latter 19th century, I am interested in everything about the period in history. Yes, I am a history geek. Whenever we travel, I visit recreated historic villages and pioneer museums. Fortunately, there are quite a few of these well preserved homes withing easy driving distance from my own home. Imagine raising a large family in a 10 x 12 log cabin. I complain because I don't have enough storage in our home. I can't imagine how difficult just finding a place for everyone to sleep must have been. Most of the cabins had a loft for the kids. With large families, the kids must have been laid out like sardines. 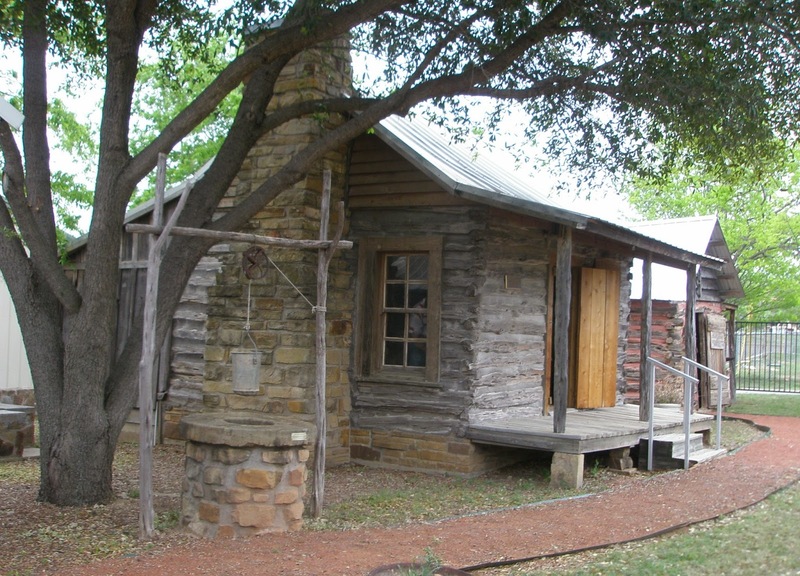 One of the places my family and I have visited is Log Cabin Village in Fort Worth, Texas. Homes from several counties have been moved there. 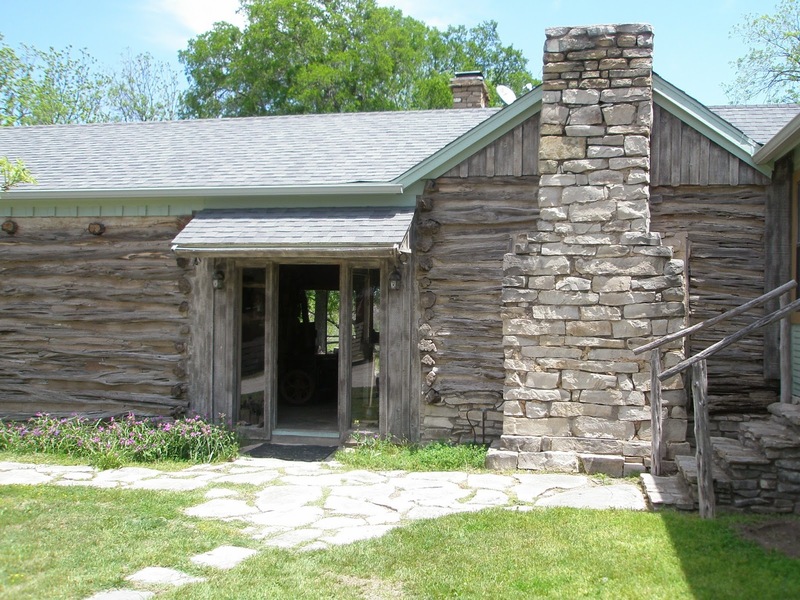 Docents stationed at each home relate the history of that cabin. Hordes of school children visit, and there are occasional festivals to draw more visitors. One of the homes there is that of Isaac Parker, related to Cynthia Ann Parker, whose life was so tragic. But she's for another post. One of my favorite places to visit is the Belding-Gibson Ranch in Palo Pinto County. This family has faithfully preserved the original cedar log cabin, smokehouse, and cold room and incorporated it into the more modern portions of their home. I'm fortunate enough to have visited this ranch on two occasions when the Gibson family opened their home to visitors. Settlers used the resources at hand. In Palo Pinto County, cedar is abundant. The Belding Ranch house is built of those cedar logs. The abandoned cabin was discovered by Mr. Belding in 1859, and he estimated it as three or four years old then. Other residents used stone or hardwood logs. On the prairie where no trees were available, sod homes housed families until they prospered enough to haul in lumber. Smokehouse is on the left, original cabin on right. Steps lead to the kitchen in the newer part of the house. As you can guess, in addition to the cabin, most families also had a smokehouse for meat preservation and storage. If they were fortunate enough to live near a creek, they diverted a bit of the creek to go through a cold room. There also was an outhouse. 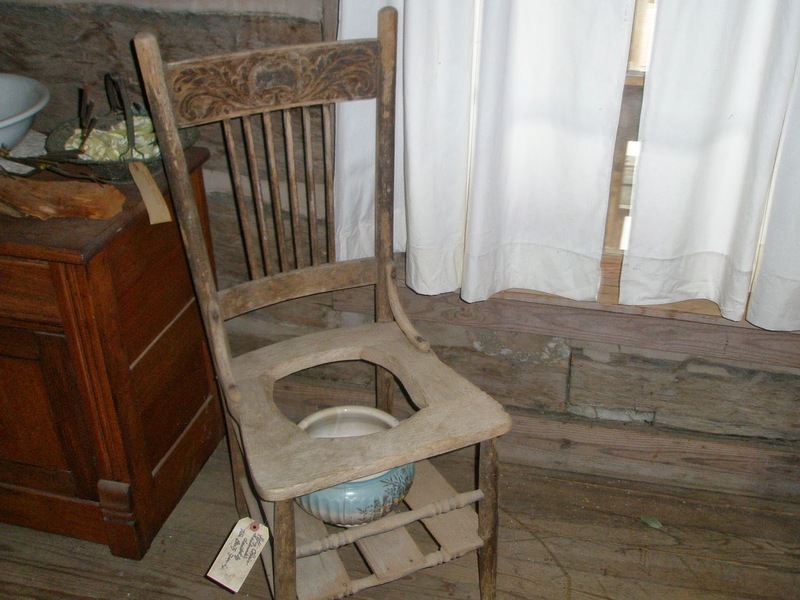 Chamber pots were used in inclement weather or at night. doors and sides to conceal the chamber pot. Inside, the walls would be chinked to prevent weather and critters from entering the cabin. In cold weather, the homemaker might hang quilts on the walls to add insulation. No space was wasted. From the rafters, there might be small utensils and drying herbs and onion hanging. A "hob" (sometimes two) were built into the fireplace to hold heavy utensils for cooking. You can see below that this fireplace is deluxe and has two hobs. The hob allowed the cook to move the utensils varying distances from the fire. In times of Comanche and Kiowa troubles, families left their homes and sought a fort. I don't mean one as seen in movies and TV. Sometimes a community might come together to build a refuge from the Indians. 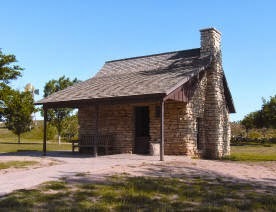 I have a photo of Black Springs Fort, but it always shows up on the blog sideways, so I will simply describe it. In Palo Pinto County, a stone fort with a basement and two stories housed families. The exterior dimensions were about twenty by thirty feet. Often the husband and older sons would send the women and children to the fort while they banded together with other men to fight the Indians. Although this was a tense time, I imagine it also allowed the women to visit with neighbors, children to play with friends, and took on a social atmosphere for a time. In Lubbock, where my husband and I grew up, there is a wonderful exhibit called the Ranching Heritage Museum. This is associated with Texas Tech University, but is behind the museum. I love going there, as the university still adds to the collection. 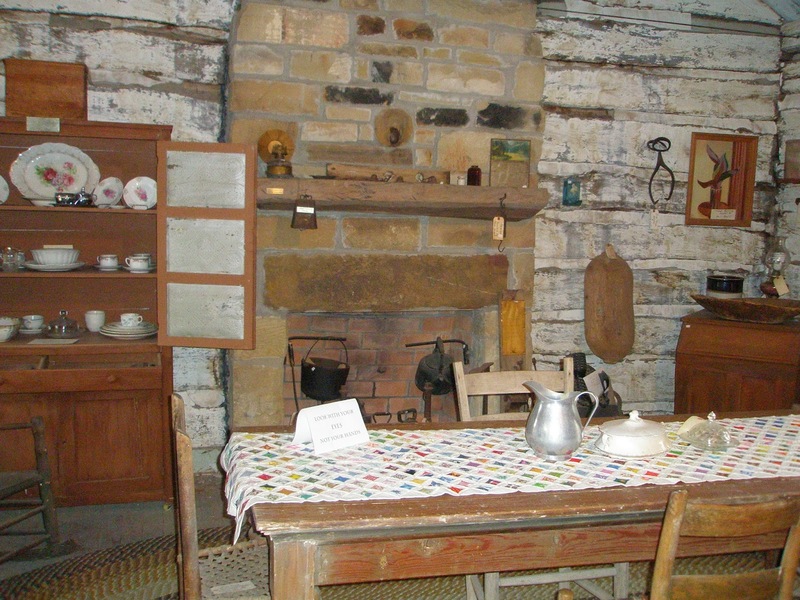 Everything from a sod house to a Victorian home. 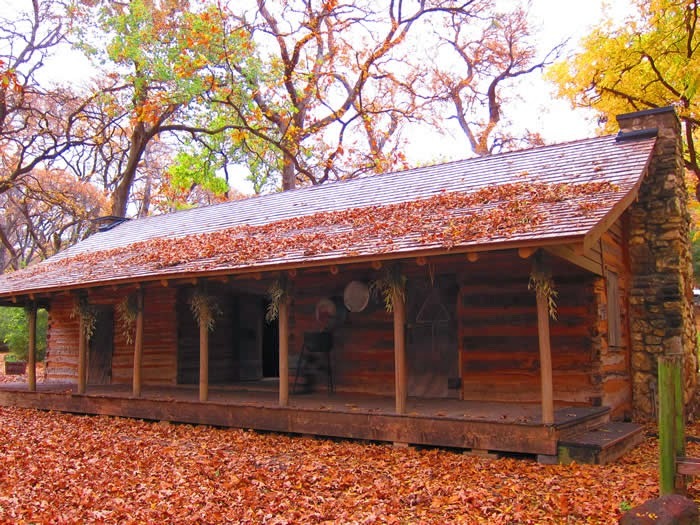 Wherever you live, there is probably a historic preservation collection of cabins and homes from the 19th century. The 1920’s was a wild, changing time for America. Cars become the popular mode of transportation even for the average family. Woman came into their own in many ways, and whiskey—the selling of it—became the next big gold rush. Although I normally write westerns, I’m currently writing a series for Harlequin about four sisters during the roaring twenties. 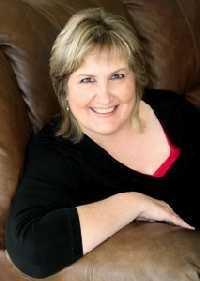 Set in White Bear Lake, Minnesota, each sister gets her own book. The four Nightingale women, Norma Rose, Twyla, Josie, and Ginger, all embrace the freedom gained by women in the 1920’s. However, their father, Roger Nightingale, aka The Night, is one of the country’s largest bootleggers and is set on keeping his girls as innocent as a morning breeze. 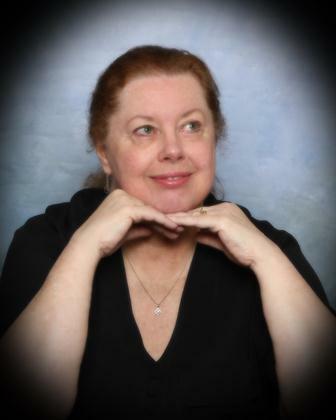 The first story is Ginger’s, a short e-book only tale. (The entire series will be released the summer of 2015.) Ginger, the youngest of the girls, takes her future into her own hands and runs away from home—by hiding away in the back of Brock Ness’s truck when he leaves for Chicago to perform on the radio. Brock unfortunately owes Roger Nightingale a good sum of money, so when he discovers Ginger under the tarp of his truck, snuggled up to his guitar case, Brock is anything but impressed. 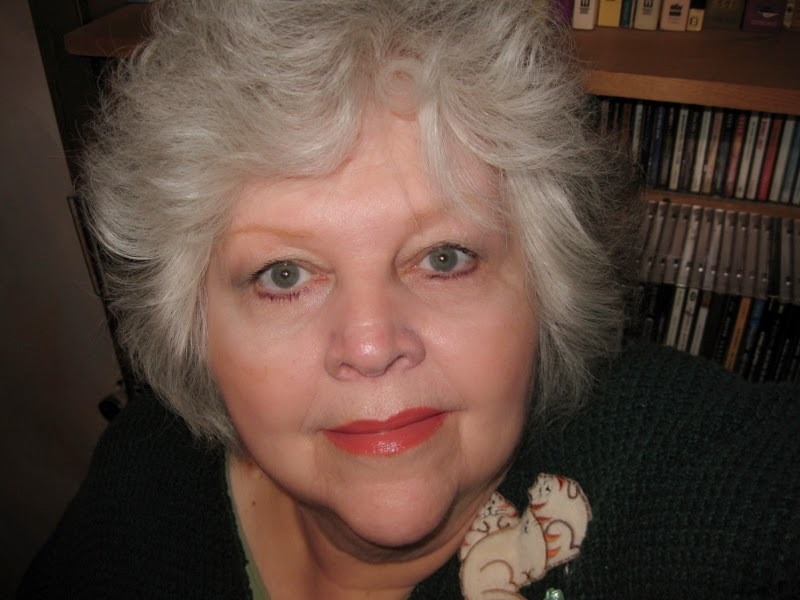 The next story is Norma Rose’s. 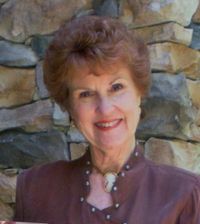 The oldest of the four sisters, Norma Rose’s story is a full length book. Working alongside her father, Norma Rose brought the family’s business, Nightingale’s, from nothing more than a dance pavilion to a sprawling resort that caters to those with money to spend. This also includes plenty of gangsters, and where you have mobsters, there’s sure to be a revenue man sniffing about. Norma Rose recognizes Ty Bradshaw as a government agent the moment she meets him, and is determined he will not bring her family down. Ty is after public enemy number one, Ray Bodine, and doesn’t care who he has to bowl over to catch the mobster, including Norma Rose Nightingale and her bootlegging father. The third story is Twyla’s, the boldest and wildest sister. I just finished Twyla’s story, a full length book. She loves living in the largest speakeasy in the country and isn’t about to let anyone rain on her parade, including rival night club owner Forrest Reynolds. Her father sent his to prison, and she won’t let him forget it, even if he takes her flying in his airplane. Forrest had to come home and take over his family's business, and knows the bad blood between his family and the Nightingale’s could be the death of them all. The last story is Josie’s. Another full length book. Josie’s the quietest and most secretive sister. I’m still plotting out her story, so at the moment, all I can say is the ladies aid meetings she’s continuously going to aren’t as innocent as they appear. Bootlegging, as it’s known when running shine on land (rumrunning is when boats were used because they were usually transporting rum out of the Caribbean) was a money maker for some, death for others. A plethora of people, from small town farmers to famous mobsters, got involved in making, selling, and transporting moonshine. Here in Minnesota, a corn derivative, named Minnesota 13 had been discovered by the University of Minnesota in the late 1800’s. The corn flourished in the shorter growing season and during WW1 the demand for corn escalated. Farmers put their necks out to purchase as much land as possible to grow Minnesota 13 corn. Well…the war ended and soon farmers found themselves with more corn than they could sell and more land than they could afford. Being immigrants from Ireland and Germany, these farmers were well-versed in brewing their own alcoholic beverages, and discovered Minnesota 13 corn made a whiskey as fine as the Canadians. When Prohibition hit, the demand for their private stock grew, and these farmers soon had a commodity that was wanted world-wide. Also named Minnesota 13, a traveler in Europe (Prohibition was an American act) could request the whiskey, right down to the small towns of Avon, Holdingford, Melrose, and other central Minnesota towns, the bottle had been brewed in. For many farmers and families, brewing and selling Minnesota 13 was what kept food on the table. I’ve had a wonderful time researching for these stories. 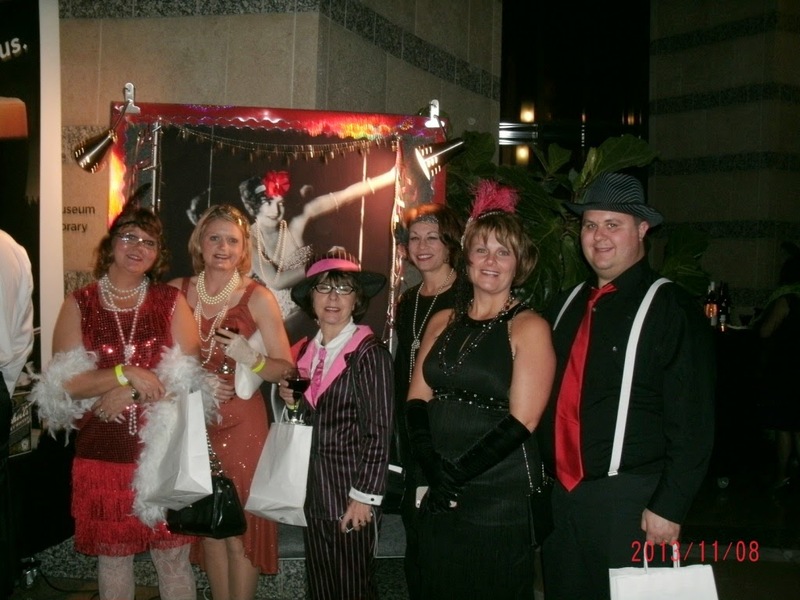 Here’s a picture of me and some family members at a ‘Bootlegger’s Ball’ in St. Paul last fall when the historical center brought in the “Rise and Fall of Prohibition” exhibition. In 1872, Yellowstone became the nation’s – the world’s – first national park. The concept was so new, Congress had no idea what to do with the park once it was established. For twenty years, people continued to exploit and destroy the features that Washington tried to protect, because there was no one who would protect them. The army was finally called in in the 1880’s to protect the thermal features and the animals. In 1916, the National Park Service was established, and the army handed over control of the park in 1918. Although women married to National Park Service personnel had assisted their husbands for years as unpaid help (like the military, it came with the territory), the first woman to be “officially” employed by a park was a California school teacher by the name of Claire Marie Hodges. She worked as a seasonal naturalist, and was soon followed by two more women, one of whom would make history in her own right. in the park. 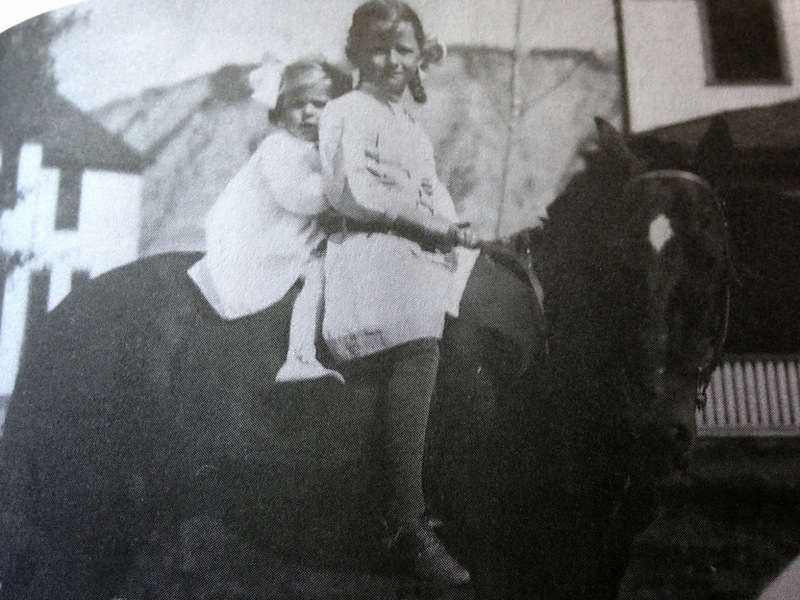 Always adventurous and daring, Marguerite remembered that her one of her fondest memories as a young girl was the thrill of trying to stay on a runaway Indian pony. Because there was no school at Mammoth for the children of army officers and park employees, she was homeschooled by her mother though the eighth grade. At fourteen, she entered prep school at Montana State College, and finished high school in three years. She continued her studies there and majored in bacteriology. Marguerite spent her school breaks in Yellowstone, but the summer between her junior and senior year in college was very different. 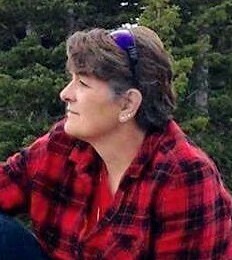 She was going to work as a ranger and get paid for explaining the wonders of Yellowstone to park visitors. 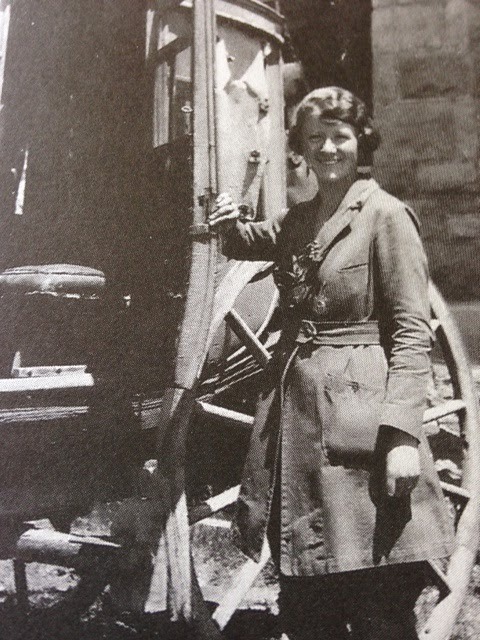 In June of 1921, newspapers around the country reported that Miss Marguerite Lindsley had been chosen to teach tourists about Yellowstone, but more importantly that she had been awarded the official title of National Park Ranger. 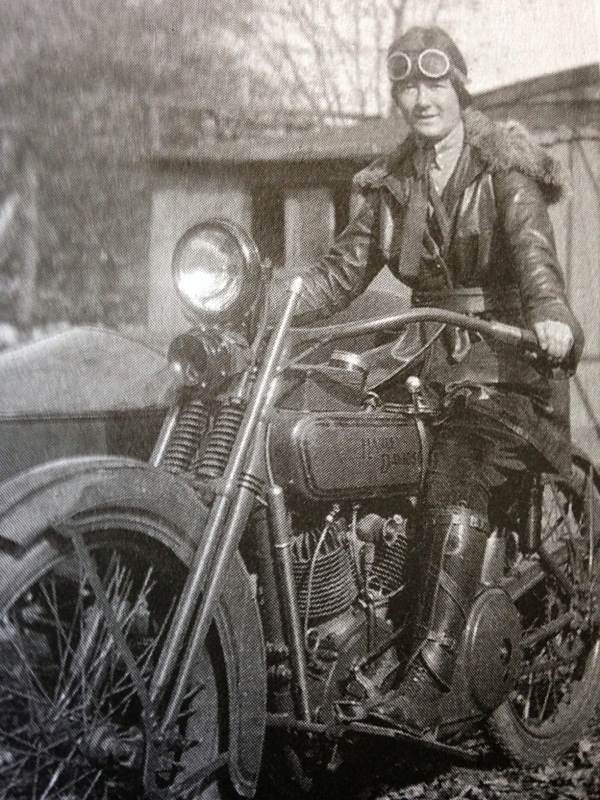 Two other women had been awarded the title previously, but Marguerite would become the first woman, three years later, to attain a full-time ranger position in the park. 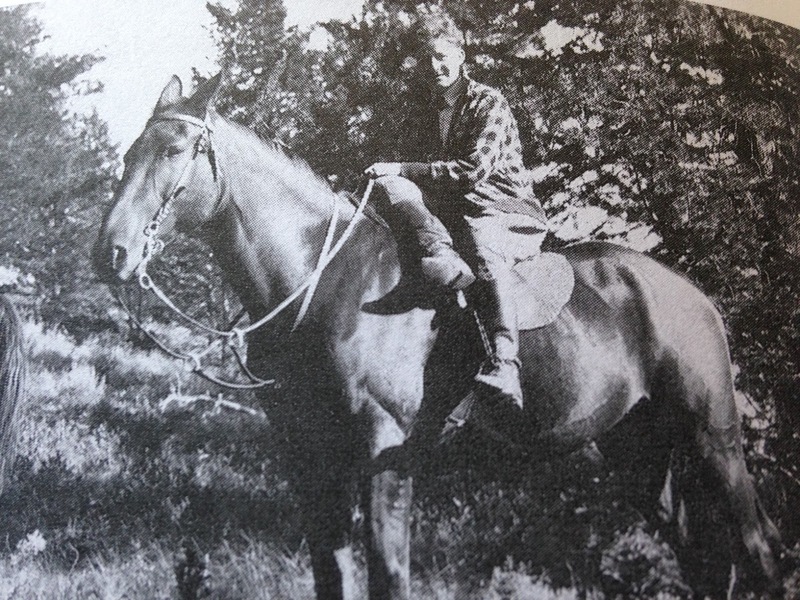 In late December of 1925, she was offered her dream job: the position of permanent ranger. She would assist the park service’s newly formed educational division. 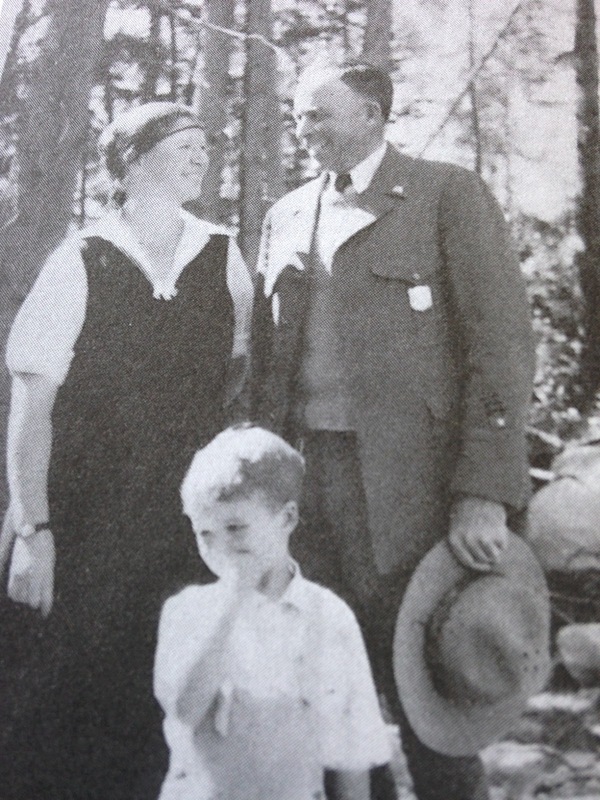 Lucky for her, Park Superintendent Horace Albright ignored the recommendation. 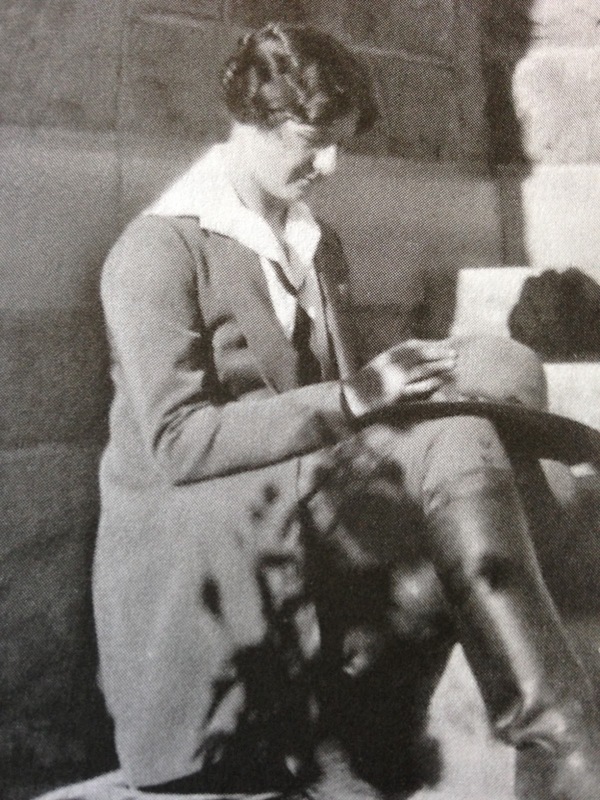 Marguerite was not only adventurous and educated, but she was attractive as well. She had many male admirers throughout the years, most of which she kept under her hat. Literally. The inside of her wide-brimmed ranger hat held the signatures of at least a dozen hopeful suitors. A fellow ranger recalled that she “could marry anybody she wanted. She could marry any of us.” More than likely, all of her male suitors were well aware that marrying Marguerite also meant having to keep up with her. Because she couldn’t keep her full-time position that would allow her to live in the same location in the park as her new husband, she resigned from her position in Mammoth and opted to work only seasonally. For the next 25 years, the couple lived and worked in Yellowstone. Marguerite died on May 18, 1952. Throughout her more than fifty years of residency in the park, life in Yellowstone was never dull, and she firmly believed that the park was the “country’s greatest wilderness playground.” For her, it was a place where a person's (man, woman, and child) heart, soul, and imagination could all take wing and rise above the conventions of the day. A Woman for President -- in 1872? Have you heard of Victoria Woodhull? I had only a vague recollection of her being an early suffragette before coming across an article tucked inside a book purchased from a used bookstore. Who placed it there I have no idea, but this Parade Magazine article, printed in March 1998, astounded me. Victoria Woodhull was far ahead of her time. The first woman owner of a Wall Street investment firm and founder of her own newspaper, she was an adviser to Cornelius Vanderbilt and spoke before Congress demanding women be given the vote. Most astonishing, she ran for President in 1872 against incumbent Ulysses S. Grant and newspaper mogul Horace Greely. Just think, that was 142 years ago – and we still haven’t had a woman president. On top of all that, Victoria was a psychic, or claimed to be. Being a firm believer in such God-given gifts, when I read that about her, I had to find out more. From young childhood, she was exploited by her father in his carnival show as a clairvoyant and fortune-teller. She was able to recall past events and predict future ones, could find missing objects and people, and supposedly cured afflicted individuals. She was also said to communicate messages from the dead. Raised in squalor, beaten and starved by her father, with little or no education, Victoria always claimed to be guided by spirits, one of whom told her she would “rise from poverty one day to become ruler of the nation.” Perhaps that’s why she ran for President. Obviously she didn’t win, but she did “set America on its ear” proclaims the 1998 article. In her book Other Powers – The Age of Suffrage, Spiritualism and the Scandalous Victoria Woodhull, author Barbara Goldsmith says of Woodhull’s time, “If a married woman worked, her wages were given directly to her husband. She could not dispose of her property upon her death. If she divorced, she automatically forfeited custody of her children. Women could not enter universities, law schools or medical schools. They could not serve on juries, and they could not vote. Good grief! No wonder Victoria Woodhull preached for the “. . . emancipation of woman and her coming into control of her own body . . . the end of pecuniary dependence upon man . . . the abrogation of forced pregnancy . . . “ and more. 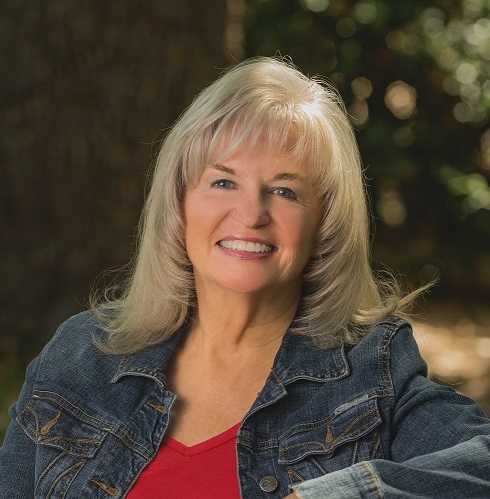 For those of us who read and write romances set in the Old West, it behooves us to keep in mind the great difference between women’s circumstances then and now. We like our heroines to be capable of standing up for themselves, but the harsh reality is that they often had little or no say in what their husbands, fathers or other men decreed. Which is not to say there weren’t women who defied convention and men who respected their opinions, even loved them for their independent ways. My kind of heroes! Speaking of heroes, let me introduce three guys who learn their women are strong enough to walk beside them, not two paces behind. Captain David Taylor is an obstinate Texan who’s determined not to get involved with a hot-tempered colleen. She might make his blood run hot but he’s certain she doesn’t have the stuff to make a good frontier wife. It takes almost losing her to make him admit he’s wrong. Tye Devlin feels an instant attraction to a gun-toting Texas cowgirl and she to him, but he’d rather walk away than allow her to stand with him against his enemies. However, the lady has a mind of her own. If she has to hogtie him, she’ll teach him two heads, two hearts and two guns are stronger than one. Half-breed cowboy Choctaw Jack may need help from a timid white girl with a healing touch, but he has no intention of letting her into his heart, for he treads a dangerous line between the white and red worlds. She can’t walk it with him. Or can she? Sarah McNeal and I are swapping our blog dates this month until she can get her computer restored, so I wanted to let y'all know that at PRAIRIE ROSE PUBLICATIONS and our other imprints, we are looking for some mighty fine writing from new authors as well as established, well-seasoned authors, and we have some very exciting projects coming up. Here are a few of them, but please visit our websites and contact me at prairierosepublications@yahoo.com or fabkat_edit@yahoo.com for further information about what's coming up! PRAIRIE ROSE PUBLICATIONS is open for submissions for stories for our summer anthologies in the historical western romance genre. As of now, two of the anthologies, LASSOING A BRIDE and COWBOY CRAVINGS have both been filled. THERE ARE STILL AVAILABLE OPENINGS IN LASSOING A GROOM AND LASSOING A MAIL ORDER BRIDE! 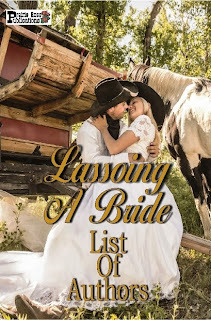 LASSOING A BRIDE: This collection of stories will be sweet/sensual. The stories selected for this anthology will have to do with a summer wedding, or courtship leading up to a wedding—by a bride who might not be so willing in the beginning. How is her intended going to “lasso” her and woo her to be his bride? That’s what we want to know, too! Word count for each selection will be around 12K, more or less. We want you to tell a good story and not worry if you run over the word count by a few words. Spots are limited! ALL OPENINGS ARE FILLED IN THIS ANTHOLOGY. 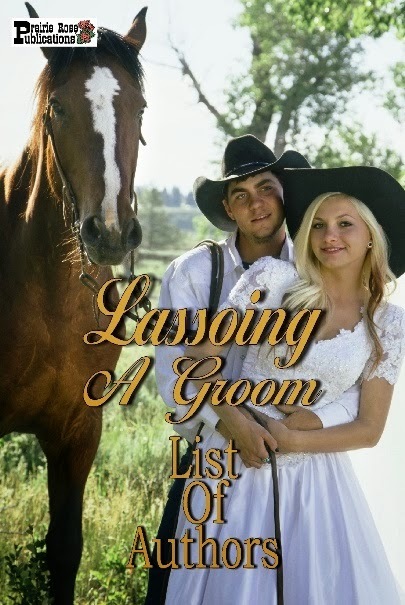 LASSOING A GROOM: This collection of stories will be sweet/sensual. The stories selected for this anthology will have to do with a summer wedding, or courtship leading up to a wedding—by a groom who might not be so willing in the beginning. But as women all know, there’s more than one way to romance a man! Silken bonds and words of love can be just as binding as any lasso. Word count for each selection will be around 12K, more or less. We want you to tell a good story and not worry if you run over the word count by a few words. Spots are limited! OPENINGS ARE STILL AVAILABLE IN THIS ANTHOLOGY! 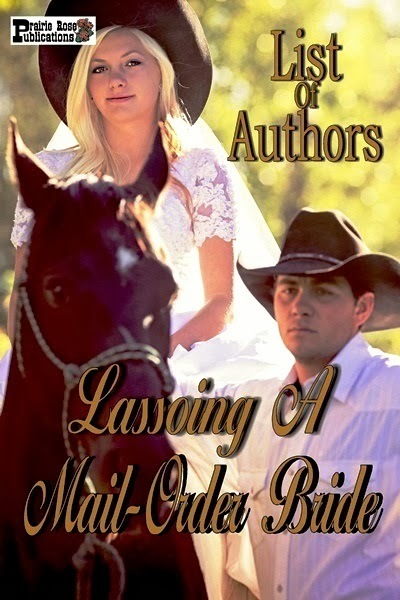 LASSOING A MAIL-ORDER BRIDE: This collection of stories will be sweet/sensual. The stories selected for this anthology will have to do with a summer wedding, or courtship leading up to a wedding—by a groom who needs a bride and is willing to order one by mail! What circumstances could lead to a man advertising for a bride, sight unseen—and a woman in such dire straits that she travels from her home and everything familiar to marry a man she doesn’t know? There are any number of situations that “might be”—and we’re waiting to see what can happen when love blossoms in the most unlikely circumstances! Word count for each selection will be around 12K, more or less. We want you to tell a good story and not worry if you run over the word count by a few words. Spots are limited! OPENINGS ARE AVAILABLE IN THIS ANTHOLOGY! COWBOY CRAVINGS: This collection of stories will be spicy/hot. The stories selected for this anthology will definitely take place in the heat of the summer and will feature some hot western men—cowboys, outlaws, lawmen—who will make not only the heroine but the reader crave the happily-ever-after outcome that’s sure to happen! What’s not to love about these strong, tough heroes or bad boys finally getting what THEY crave—a good woman to love! Word count for each selection will be around 12K, more or less. We want you to tell a good story and not worry if you run over the word count by a few words. Spots are limited! ALL OPENINGS ARE FILLED IN THIS ANTHOLOGY! SUBMISSIONS FOR ALL ANTHOLOGIES ARE DUE BY APRIL 15, 2014. MORE SUBMISSION CALLS? HERE THEY ARE--FROM TORNADO ALLEY PUBLICATIONS! At TORNADO ALLEY PUBLICATIONS, we are always looking for submissions by talented new authors as well as seasoned authors who may have been in the business for a while! We publish all lengths of stories, from “single-sell” short stories to full-length novels, with the longer works being available in print, as well as e-book formats. From time to time, we also put out a call for submissions for short stories for themed anthologies. This summer we have three anthologies we’re looking to fill, one for each of our age categories at TAP. 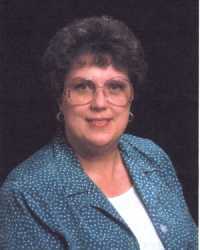 TORNADO ALLEY PUBLICATIONS is an imprint of PRAIRIE ROSE PUBLICATIONS. Please take a look at the specific submission calls below and see if one or more of these might be of interest to you or someone you know. We’re very excited about these collections! Please feel free to forward! Do you have a good idea for a fantasy or sci-fi story about a dog? That’s what we’re looking for in this anthology for MIDDLE GRADE READERS (9-12). If you have a story that tugs at the heartstrings or shows the excitement and bond in a relationship between a boy or girl and their dog, we’d love to see it! The possibilities are endless: a stray dog becomes a young girl’s best friend – but he’s got “something special” about him; a young boy is given a dog…though what he really wanted was a horse—or so he thought! These are just a couple of ideas, but your imagination is boundless with what “could be”. Dogs are magical anyhow, but in this collection, these dogs have a true bit of magic they’re able to use now and then! 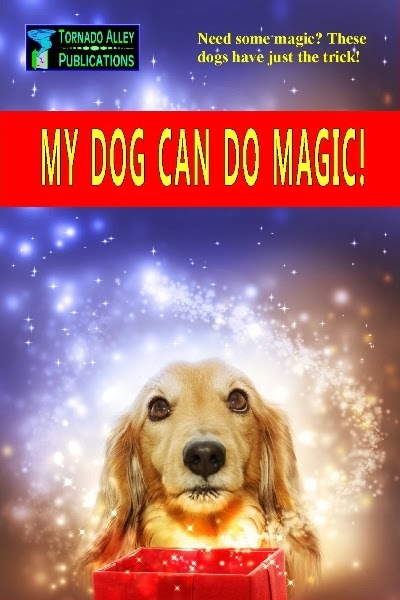 What magic will your dog have? Can he speak like a human? Does he sense trouble before it happens? Does he hold the key to saving the world? We’d love to have a look! Spots are limited! Please send a cover letter and blurb along with your submission. 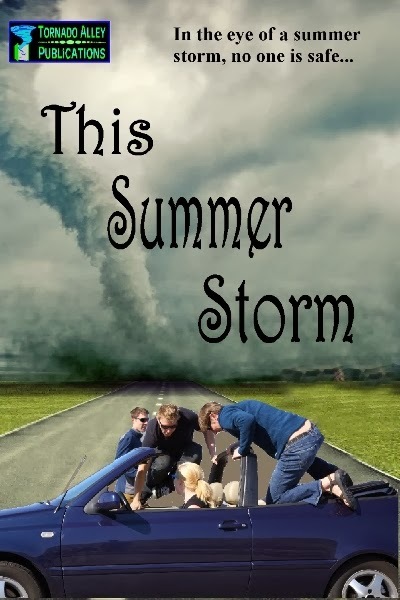 We’re looking for stories about summer storms. Hurricanes, tornadoes, lightning—anything nature can throw our way. Maybe your characters are trapped at sea during a squall; maybe they’re having to deal with a violent tornado and its aftermath. How will they cope? But storm stories can also be about emotional storms—storms that come from family upheaval and changes that affect the characters and facilitate the need for resolution of some kind, or at least, the first steps of resolution. Whichever kind of storm you choose to write about, we are anxious to see it! Please send a cover letter and blurb along with your submission. Keep in mind that these stories will be set in contemporary times. Summer love happens in the most unlikely places, to the most unlikely people. This anthology will be a collection of stories about characters that fall in love under odd circumstances. The young college girl who falls for a cruise ship entertainer; or a chauffeur, who falls for the daughter of his millionaire boss. It could be as simple as an odd coincidence, a stray glance or being caught in a summer downpour that sets the story in motion. Common theme in all stories will be a photograph. Example: maybe your heroine is a celebrity of some kind and a photograph of her is on the front page of the paper; or maybe your hero sees a photograph on the heroine’s wall that was taken with her older brother—whom he mistakenly believes to be his “competition”. The photograph can play a major role or be mentioned in passing—it’s up to you however you want to use the photograph YOU imagine! It can play any part in this unlikely love story. We are excited about this collection for a recently-recognized readership—new adults—ages 18-24. We’re anxious to see how your characters fall in love—and what they do about it! Please send a cover letter and blurb along with your submission. Keep in mind that these stories should be set in contemporary times.